Competing with the likes of the very popular Rode VideoMic range of products, Deity’s V-Mic D3 and D3 Pro definitely have a fight on their hands. But they definitely seem to have brought their A game. The pair of microphones are largely the same. They both have a durable aluminium design and come with a Rycote shock mount. Let’s talk about that mount for a minute. 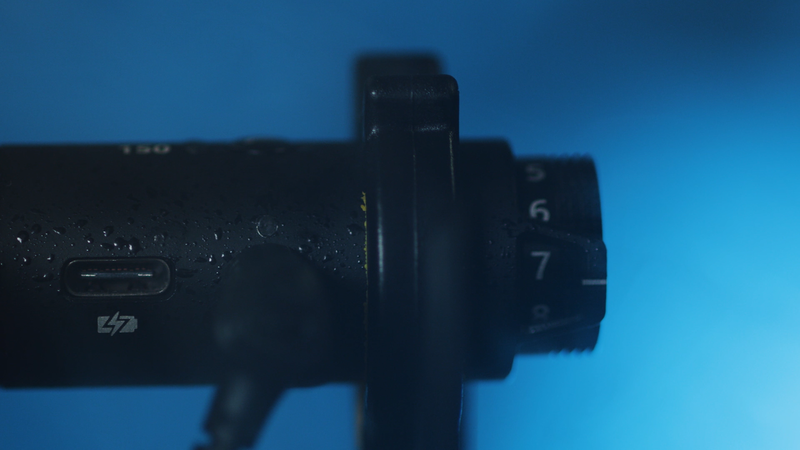 As the microphones are primarily designed to go on camera, the mount has a rather unique feature. It sits on a sliding rail that lets you balance your microphone on top of the camera for when working with a gimbal. This helps to prevent your gimbal’s motors from having to work too hard to keep everything level and saves battery power. Both versions of the microphone feature a “Smart” 3.5mm TRRS socket, and there’s only one cable. A microprocessor inside the microphone knows what you’ve got it plugged into. Whether it’s a TRRS phone, a TRS camera, or the XLR adapter going into a dedicated field recorder, the one cable just knows. That means no more adapters, or having to buy multiple separate cables. Well, unless you’re trying to plug it into a headphone jackless iPhone (you’ll need your Lightning adapter). It also knows when your device is powered on and off, automatically going into standby mode. The V-Mic D3 is powered by a single AAA battery offering up to 208 hours of use (6,000+ hours in standby mode!). It has a super cardioid pickup pattern with a frequency range of 20Hz to 20Khz and 114dB of dynamic range. Deity says that both the D3 and D3 Pro capture flat natural tones without any added bass or midrange boost. The V-Mic D3 Pro has a few significant features over the regular V-Mic D3. 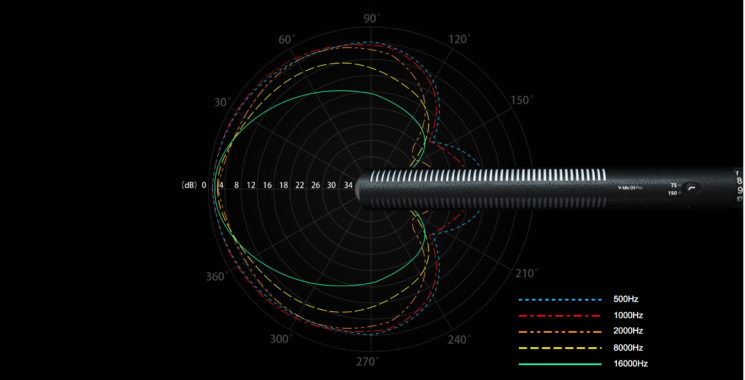 It features a +20dB gain boost, like many other on-camera microphones, but this one’s somewhat special. Instead of a simple 2 or 3 position switch, it has an analogue stepless gain dial, so it’s not an “all or nothing” situation like just about every other powered on-camera microphone. You can dial the exact amount of gain that you need. The D3 Pro also has switchable 75Mhz and 150Mhz low cut filters to help eliminate some of the low-frequency rumble from the environmental noise. And instead of the AAA battery, the V-Mic D3 Pro includes a built-in 320mAh lithium-ion battery. It charges up in only 2 hours over a Type-C USB socket, and offers up to 51 hours of use, automatically goes into standby mode when your device is powered off, and then turns itself off completely after 15 minutes of inactivity. The Pro model also has the option of coming with a Location Kit. The location kit everything that the regular V-Mic D3 Pro has, but also comes with the Rycote Duo-Lyre pistol grip and a D-XLR adapter for using the D-Mic with a dedicated field recorder or camera with XLR input sockets. When comparing to the competition, both the V-Mic D3 and V-Mic D3 Pro come in at a very attractive price, too. They’re not showing up as available quite yet, but they should be coming to Amazon, B&H and all the usual places soon. For now, head on over to the Deity website if you want to find out more about the V-Mic D3 or V-Mic D3 Pro. I haven’t heard either of these microphones myself yet, but if the quality of Deity’s S-Mic 2 is anything to go by (spoiler alert), they’ll both be very impressive.